BATON ROUGE, La. 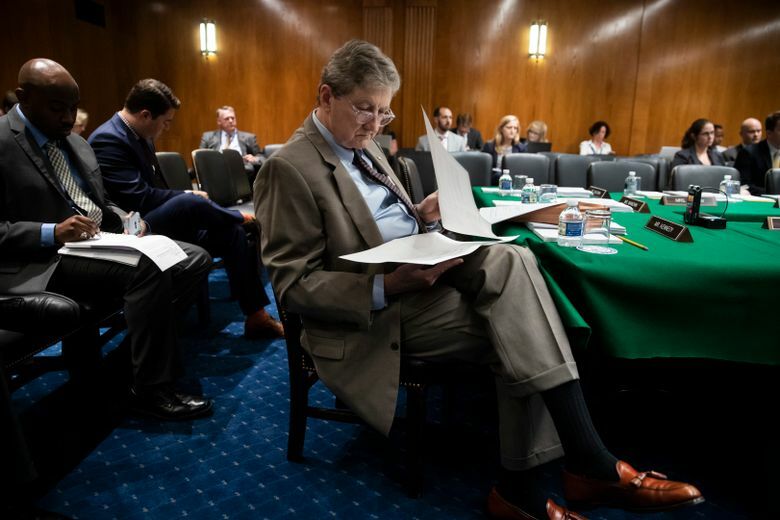 (AP) — Ending months of speculation, Sen. John Kennedy announced Monday that he won’t run against Gov. John Bel Edwards in 2019, leaving Republicans scrambling without a well-known contender. The announcement, made in a press release, came as a surprise. The senator would have been a formidable opponent as Republicans try to unseat the Deep South’s only Democratic governor. Kennedy has long eyed the governor’s seat, and suggestions that he’d challenge Edwards began nearly as soon as he won his Senate race two years ago. He matches Edwards in popularity, and his fundraising skills are prodigious. But Kennedy, 67, has quickly raised his profile in Washington, giving him more of a footing in Congress than would have been expected. And Edwards also is popular: A recent poll showed both men with approval ratings around 60 percent. Edwards panned his rival’s lengthy is-he-in-or-out drama. Kennedy’s decision leaves wealthy Baton Rouge businessman Eddie Rispone as the lone Republican challenging Edwards’ bid for a second term so far. The political newcomer said he’s willing to spend at least $5 million of his own money. Other potential GOP contenders include U.S. Rep. Ralph Abraham, who said he’s leaning toward running and will have a decision “very soon,” and state Sen. Sharon Hewitt. But none have Kennedy’s statewide name recognition, and all but Rispone will have to fundraise from scratch for an election only 10 months away. Few people seemed to know Kennedy’s plans in advance. Though he’s been in politics since taking a job in 1988 as Gov. Buddy Roemer’s special counsel, Kennedy has long operated as a political loner. He spent many of his 17 years as Louisiana state treasurer quarreling with governors and other officials over financial policies, whether they were in his party or not, proudly building an outsider reputation that bolstered his approval ratings. 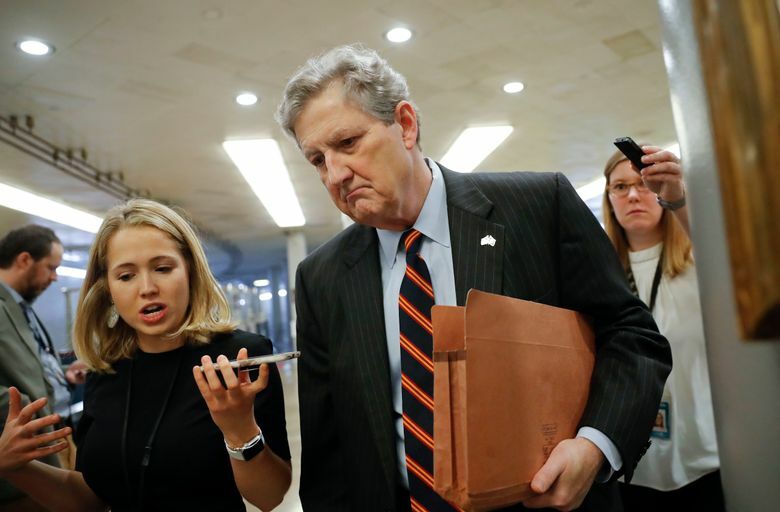 He ran for Senate three times before winning the seat, first as a liberal Democrat in 2004, and then as a conservative Republican in 2008 and in his 2016 victory to fill the seat vacated by Republican David Vitter. The speculation that Kennedy would try for governor without completing his first term for a job he repeatedly sought raised complaints of office-hopping. 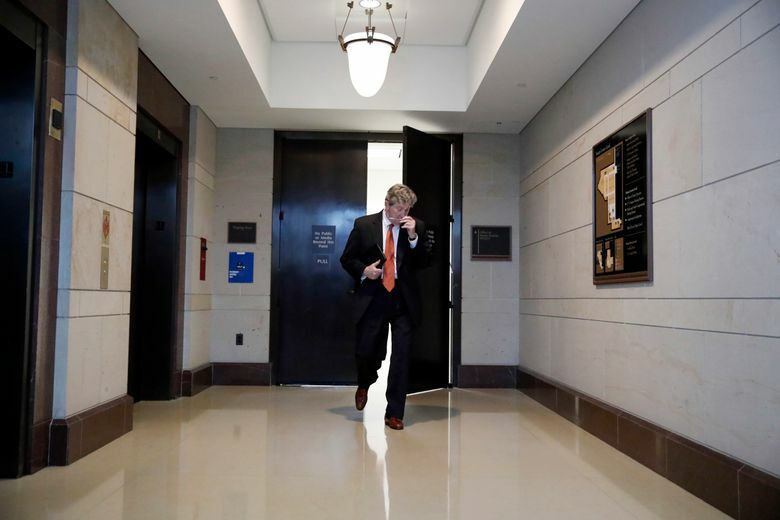 But Kennedy has managed to attract national attention quickly in Washington, even as he clashed with Edwards over the governor’s tax packages, spending plans and criminal sentencing-law changes. “I hope someone runs for governor who understands that Louisiana state government does not have to be a big, slow, dumb, wasteful, sometimes corrupt, spend-money-like-it-was-ditchwater, anti-taxpayer, top down institution,” he said. Kennedy has become a favorite interview on Capitol Hill because of his outspoken, folksy responses and his quickness with a quotable sound bite. He’s mostly provided a safe Senate vote for Republicans, and he’s been a strong supporter of President Donald Trump. Serving on the Judiciary Committee, he eviscerated one of Trump’s judicial nominees but praised the credentials of Supreme Court Justice Brett Kavanaugh after sexual assault allegations were raised. Baton Rouge-based pollster Bernie Pinsonat thinks Kennedy decided to stay in Washington because he’s risen to prominence there, even as his popularity has grown back home. Though he projects the image of a Southern country lawyer, Kennedy has an imposing academic pedigree, with an undergraduate degree from Vanderbilt University, a law degree from the University of Virginia and a bachelor of civil law degree from Oxford University, where he graduated with first-class honors.